We’re back…….our multi-draw 2017 P4AC Masters Raffle! It is the only fundraising we do over the weekend, so please dig deep and help us raise funds for cancer research, and give yourself a chance to win some cool prizes! This year we have something for the whole family……. With thanks to Icy Table our top prize is this incredibly cool and compact game AND drink storage. Perfect for any outing anywhere you go. We will even supply some drinks to get your party started! Everybody loves Bunnings so our next prize is something that anybody from the family would be thrilled to win. Thank you Bunnings Manly West for your $100 gift card. 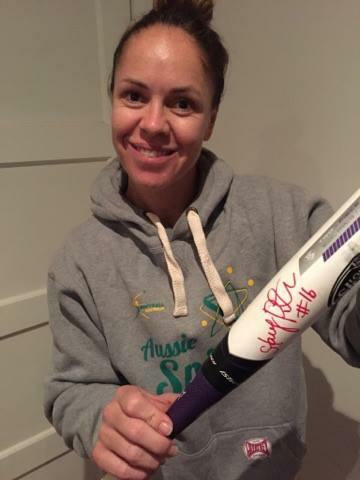 How about a signed softball bat (used bat) by Aussie Spirit Captain, 2 time Olympian and arguably (no arguments from us) best batter in the world, Stacey Porter; or gorgeous apparel from Intimo. Thanks to Leigh for this – incredibly beautiful gear for some lucky supporter. Maybe some Tupperware (thank you Billie); or Find your Essence Soy Candles and Melt Pack (thank you Julie); Fifth Ave Jewellery (thank you Kelli); Princess Charlotte Seafood vouchers (Thank you Kim and David Cooper); or a 50 Litre esky – thank you Nicole and 4 Events. 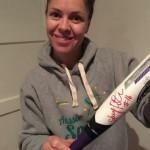 Perhaps for one of our softball masters colleagues this prize may be your preferred? Softball Queensland have kindly offered to pay back your registration fee if you are lucky enough to win during our multi-draw! You can purchase tickets online (as we do every year) and tickets will be written for you with a photo sent as evidence. P4AC will hold onto your tickets and upon your request will post them to you ($1 postage). We will be selling tickets at the park over the weekend too. Raffle will be drawn on the 6th August (no later than 5pm) with the winners notified by phone call or email – at that time we will arrange for you to collect. Thank you and good luck! This entry was posted on Monday, March 27th, 2017 at 3:44 pm and is filed under 2017, Previous Events. You can follow any responses to this entry through the RSS 2.0 feed. You can leave a response, or trackback from your own site.